RMI is fortunate to partner with several excellent companies and organizations to help run our mountain adventures. From the best gear manufacturers and suppliers to travel consultants and training specialists, RMI's partners are the best in the business. Let the experts at Whittaker Mountaineering, near Mt. 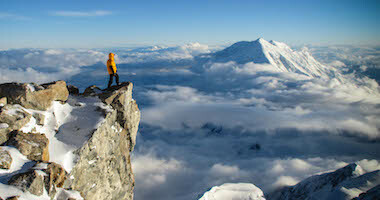 Rainier, help you select the right gear for your next adventure. Climbing is in our bloodline, since Jim and Lou Whittaker led first American ascents worldwide. 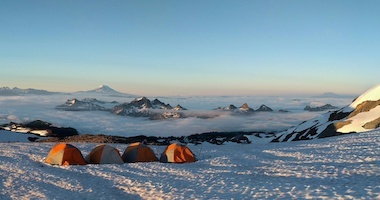 Lou's son and Rainier Mountaineering, Inc. co-owner/senior mountain guide Peter Whittaker built Whittaker Mountaineering to make outfitting more efficient. The world's best mountain guides pick only the right gear you need, nothing you don't. From its headquarters in the Jura mountains of France, Julbo has been at the forefront of action sports optics since the company was founded in 1868. Three generations have directed Julbo's evolution from a manufacturer of corrective lenses to a global produce of protective eyewear for all active outdoor pursuits. BlueWater traces its roots to a family-owned business that began manufacturing ropes and cordage in 1903. BlueWater’s modern history began in 1969 when we manufactured the first American-made kernmantle caving rope. This rope went on to become the now famous BlueWater II Plus. The standard in quality and durability. We were the first American rope manufacturer to develop a dynamic climbing rope. We continue to lead the industry in rope design and durability. In its simplest form, Leave No Trace is about making good decisions to protect the world around you - the world we all enjoy. 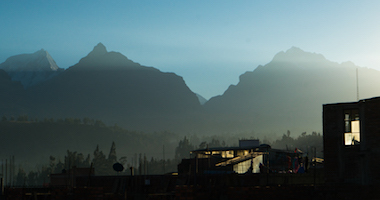 We believe that climate change presents significant challenges to the planet and the mountains that we cherish. We are proud to say that all of RMI's programs and operations within U.S. National Parks are carbon neutral. By implementing practices to reduce our emissions, coupled with purchasing carbon offsets, we achieve our goal of sustainability and further promote responsible environmental practices. We have partnered with Offsetters, Canada's leading carbon management solutions provider, to purchase offsets for our greenhouse gas emissions. Their projects are verified and validated by third parties to ensure that the emissions reductions are real, additional, and permanent — so we know that our contribution is making a difference. 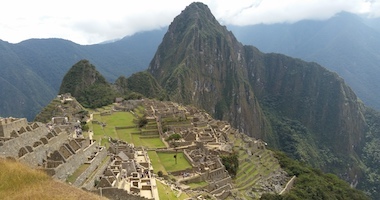 A fundraiser for the American Lung Association, RMI Expeditions is proud to have worked closely with the Climb for Clean Air since 1988 to help raise over $4.4 million. The American Lung Association is the leading organization working to save lives by improving lung health and preventing lung disease, through research, education, and advocacy. 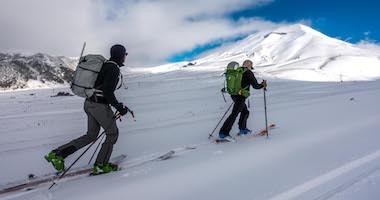 The American Mountain Guides Association (AMGA) is a national 501(c)(3) nonprofit organization that has been supporting the mountain guiding and climbing instructor community for over 30 years. Notebleu is a Seattle web agency that specializes in bringing large solutions to small business and nonprofits. 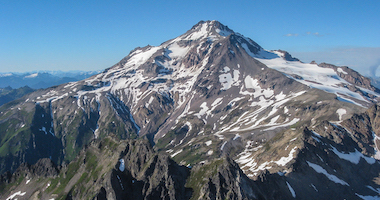 Founded by the Yuthok family and based in Seattle, WA, Peak Sherpa helps you reach your peak each day with nutritious foods that provide long-lasting energy. Peak Sherpa products are made with Tsampa, a sprouted and roasted barley that is a staple food of the Himalayas and have fueled Sherpa mountaineers for centuries. Our authentic Tsampa is USDA Organic Certified, Non-GMO Project Verified, and made from premium quality ingredients. Proceeds from every purchase provides support locally and to the people of the Himalayas. Born in the Pacific Northwest, Skout Backcountry's plant-based expedition food is the manifestation of the passionate pursuit of adventure coupled with a commitment to organic sustainability and ingredient transparency. For nearly 3 decades TravelChair has been charging hard, pushing the envelope of comfort and style while riding the rail of innovation. Carving a name for ourselves the only way we know how, by making chairs that outlive, outlast and outperform the competition. At TravelChair we overbuild and over-engineer every product we make. It’s a little thing we like to call tradition. Based in Aspen, Colorado, webShine offers custom internet marketing solutions in search and web analytics. Erin is an independent agent of the Travel Society, she has booked countless miles for adventure travelers across the globe and is extremely knowledgeable about mountain climbers' travel needs.